Compare features for each of our Cloud Backup packages below, which are both tailored to the needs of Small Businesses. A simple answer to a complicated problem. 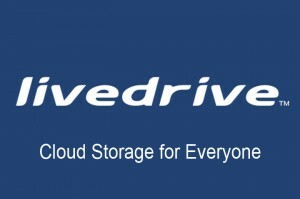 Simply install the Livedrive software on every computer in your business and it’ll work automatically in the background to backup everything on that computer online. Nothing to manage, nothing to worry about. The administrator can see all backed up files on all computers and you can easily restore files anytime using our restore software. It works on PC and Mac. It’s like a shared network drive… supercharged. We call it Briefcase. See the same files on all your office computers. Work on the same files as your colleagues. See who changed what. Hot desk easily. You can give every employee their own private space and you can create Team Folders that groups of employees work together on. Share files easily with Livedrive. Your business will get its own web portal – yourname.livedrive.com. You can even custom brand it with your own logo and content. With just a few clicks you can share any Livedrive file via the web. You can share privately (we’ll send the recipient a secure link) or publicly with everyone. It’s a great alternative to e-mailing files or using FTP. It’s more reliable, more manageable and it’ll make your business look more professional. Livedrive syncs files between your PCs. That means your employees can use multiple computers and can take their work home with them if you wish. It also means your employees can work on the road. If your people are still e-mailing files between themselves then there is a better way – try it today! Get full FTP, SFTP and WebDAV access to everything on your Livedrive cloud storage. In fact, Livedrive includes everything you need to setup your own FTP server in a fraction of the time of a traditional server and with dozens of extra features.